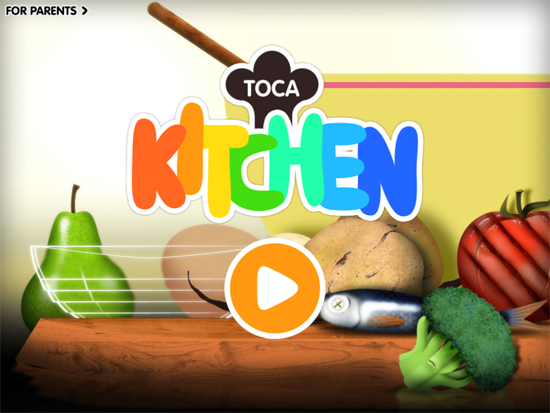 Toca Boca Kitchen, $1. 99 – We are huge Toca Boca fans here, and own every single one of their games. 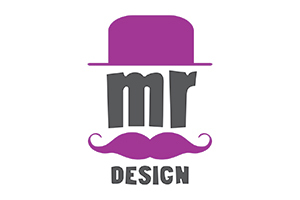 I can’t recommend them highly enough (particularly the Doctor and Tea party apps!) Kitchen is their latest addition, and Birdie so loves feeding the kitty cat her freshly prepared sliced, diced, cooked, pureed meals that she’s sad to leave the Cat inside the phone. Also check out the free Christmas Hair Salon – give Santa a mohawk! Spot the Dot, $3.99 (iPad only) – This is higher in the price spectrum, I know, but it’s well worth it. after a few times through it together, Birdie now plays it – and finds all the dots – on her own. It’s several minutes of peace and quiet, and she’s working on colors and concentration skills too. Plus, I like the simple graphics. 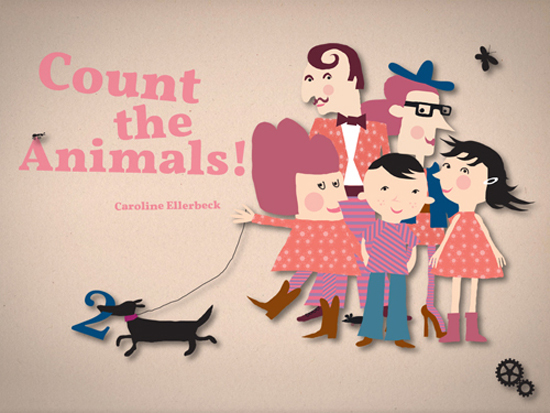 Count the Animals, free – It’s hard to explain the quirky charm of the characters in this app, but let me just say I laughed out loud my first time through it. 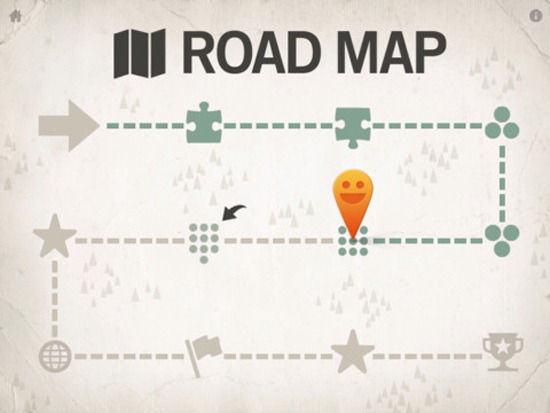 It counts in several languages, so you can both feel smarter as you play – bonus! Dibu’s Monster Maker, $1.99 – There are many different build-a-creature apps out there, but Dibu’s is my favorite for the cutenss/originality category. 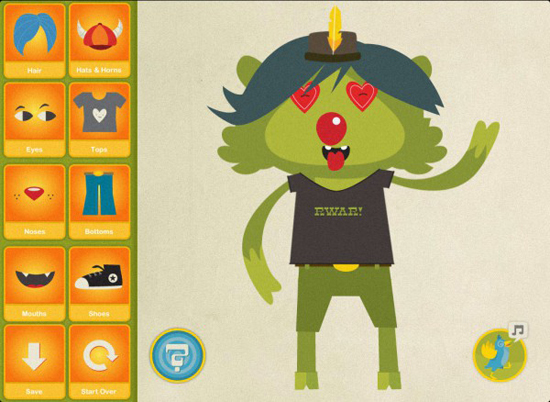 Lots of quirky facial features, clothing, hair, and monstery accessories to choose from. 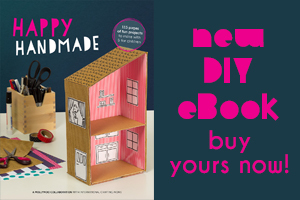 Email and print images as you go. 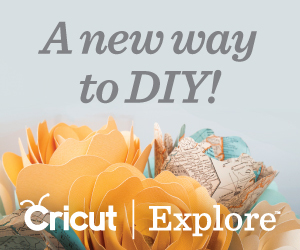 Plic Ploc Whiz, free – So beautiful, so simple. 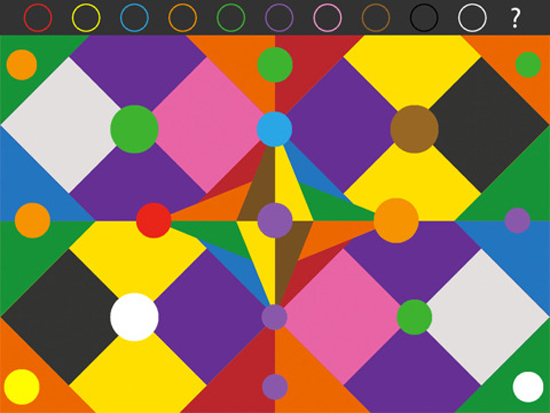 Basic shapes are used to create puzzle-like images. 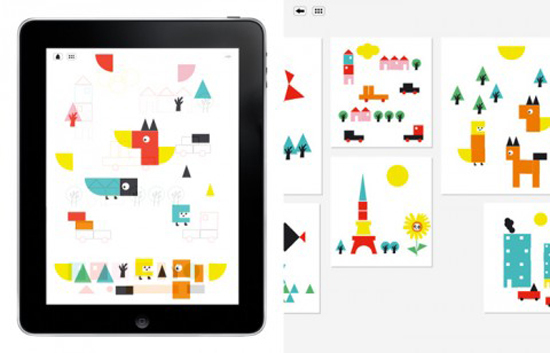 You can choose to match the shapes to the image, like a puzzle, or create your own images with the shapes provided. 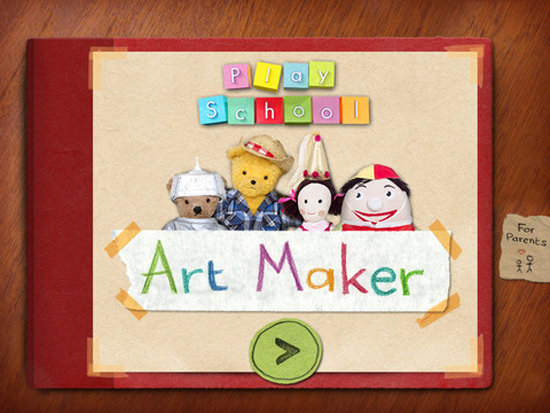 Play School Art Maker, free (ipad only) – We’re still getting to know this app, and some of the graphics are a bit twee, but I do love the functionality. 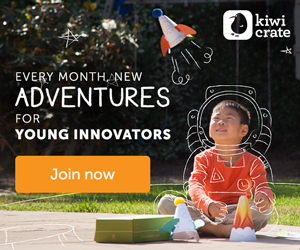 Kids can quickly make simple stop-animation style videos using existing backgrounds and dozens of images/toys/decorations. It records your sounds as well, for a full story-making experience. The Night Before Christmas, $4.99 – Again, a little spendy. But there are very few Christmas Apps I like. This one features full Orchestral soundtrack from the Boston Pops Orchestra. 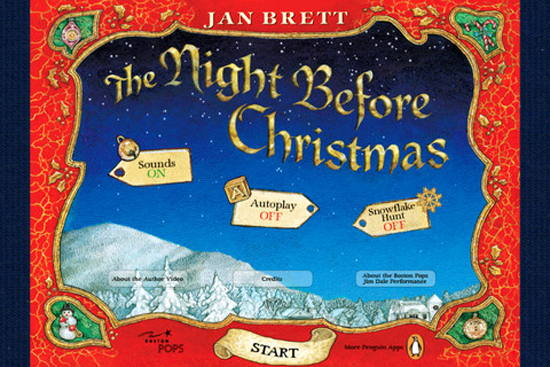 super detailed illustrations by Jan Brett, and narration from Gramy Winner Jim Dale. The whole experience is as luxe as Christmas should be. Plus, proceeds benefit the Orchestra. What are your favorite apps? Make sure to share in the comments! Yes! Great stuff! Is it OK to share on Tumblr? This is awesome! Keep up the terrific work! Thanks! 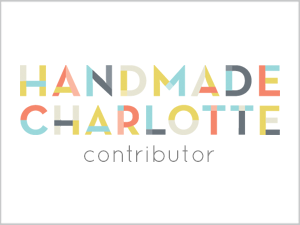 Feel free to share on Tumblr, as long as there’s a link back to this page – I appreciate it!